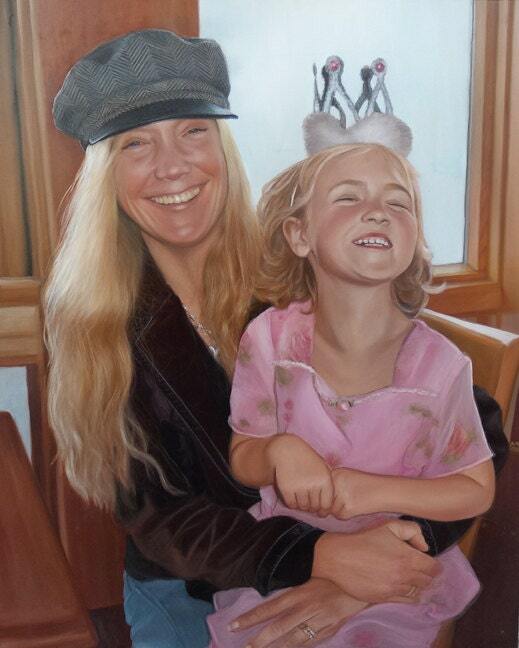 Personalized portraits gives you the opportunity to capture a special moment and preserve it in a hand-painted oil portrait. Capture your special moments by turning them into stunning hand painted portraits. Portraits also make unique gifts for friends and family. - Select the photo or photos that you would like me to use to create your custom portrait. - Choose the item in my shop that defines the size you would like and place your order, or I can send you a customized Etsy listing. - I will contact you when I begin work on your portrait! - Once your portrait is finished I will send you a photo of your portrait for your approval (changes can be made). -. Your work of art gets shipped to your home! Perfect 50th anniversary gift for parents.